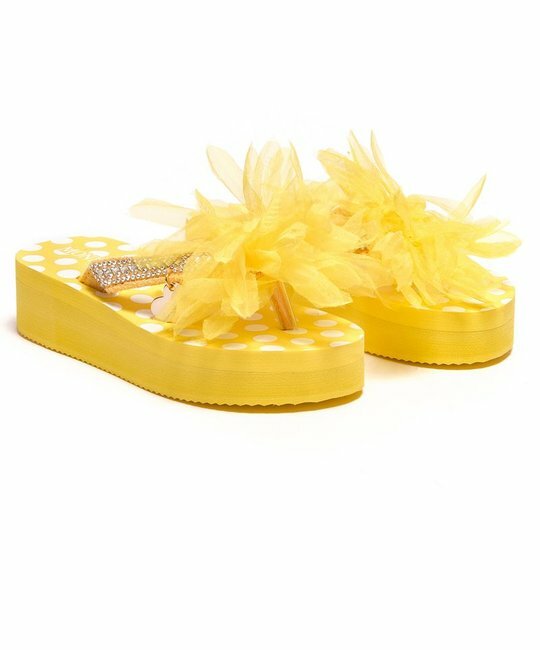 Monnalisa yellow soft sole slides with embellished detailing at toe. 100% Pvc. Imported.